NASHVILLE, Tenn. (September 25, 2013) - A number of industry leaders have been added to the line-up for the popular Christian Musician Summit, which returns to Nashville for its second year, with a schedule that includes workshops and performances featuring some of the best musicians in the CCM industry. 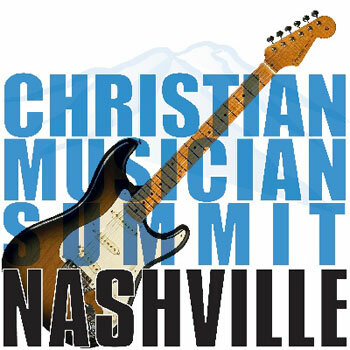 CMS Nashville will be held October 4 and 5 at Belmont Church on Music Row. Sarah Macintosh will lead a session titled "Silence: Exploring the Role of Women In Ministry." Eric Copeland will lead two sessions for indie artists: "The Importance of Being Amazing" and "Get Busy With Your Music & Ministry." Benji Cowart has been added as a speaker for the Songwriter Boot Camp and Doak Turner, editor of the Nashville Muse, will speak on "Networking in the Music Business." Lynn McCain, president of McCain & Co. Public Relations, will speak on the importance of publicity to an artist's career. Jimmy Abegg will lead a session titled "A simple Guitar Clinic" and Roger Zimish will lead "Guitar From A2Z." John Mills will present an audio master class. Other performers and speakers for the two-day event include Brenton Brown, One Sonic Society (featuring Jason Ingram, Stu G & Paul Mabury), Matt Maher, Phillip LaRue, Sarah Macintosh, Dave Cleveland, Ian Eskelin, Jason Webb, Don Poythress, Tom Lane, Zoro the Drummer, Adam Nitti, Chance Scoggins, Tom Brooks and many others.